Do you have a passion for volunteering or want to connect with others? By becoming a member you have the opportunity to work with other women to improve the social, cultural and physical needs in our community. In so doing, you will meet and make new friends, gain knowledge and experience, become a better citizen of the community and have fun while doing so. The Level Green Women's Club always welcomes guests at our meetings. If you are not a member, guests must be invited to attend a meeting by a current member. 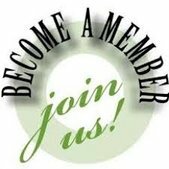 Membership is not granted until guests attend at least two monthly meetings, complete a membership application and are approved for membership by the existing membership. If you would like additional information about Level Green Women' Club, please contact our Membership Chair at membership@lgwc.org. The Level Green Community Women's Club would be happy to provide you additional information or send you membership information. Our Club meetings are usually held on the third Thursday of each month from September to May at the Level Green Community Building located at 123 Murrysville Road in Level Green. As a member of the Level Green Community Women's Club, you will join our other members as we meet monthly with keynote speakers to discuss the activities of our association and relevant topics affecting our community today, you will receive our monthly Newsletter with current events that affect you and our local Club's objectives and so much more. Complete an application and bring cash or check payable to CWCLG to a meeting. Or you may mail your check to Bev Yakubsin, 6195 Baker School Road, Level Green, PA 15085. Active member - Due are $20 and you must participate on one committee, serve at least one month on Hospitality and participate in club fundraisers. Social member - Due are $30 for those who have been a member between 1-5 years (those who have been an activie member five consecutive years their dues are only $25). Also, you must support at least one club fundraiser. Please click the link below to download and print the application. Join our organization and work on noteworthy projects, donate food to local food banks, assist those less fortunate, provide scholarships and more! Volunteering is an excellent way to explore and find what interests you. Working with a variety of profesionals with different skill sets can help you grow as a person. Life can be difficult at times for you and others. Volunteering can offer a new perspective.